THE MOST REMEMBERED THRILLS of travel often come from unplanned exploration. While guided trips are fine for some occasions, nothing is more illuminating than renting a car in a foreign place and hitting the open road (with or without a map). The best road trips allow you to see as much as possible, and cover a ton of ground without ever becoming boring. Here are five great European road trips you’ll never forget. In this green country of rolling hills and stone castles, any foray into rural Scotland will deliver picturesque views and a whole lot of sheep. But if you really want to see the breadth of Scotland’s nature, monuments, and loch’s (lakes), start in Edinburgh and travel northwest to Cairngorms National Park. You’ll pass through Glen Coe, a glen in highlands full of impressive mountains and waterfalls. You can even stop at Doune Castle along the way, which you might recognize from Monty Python and the Holy Grail. Once you’ve reached Cairngorms, there are plenty more castles to visit, and countless hiking trails, which always seem to bring you deeper into a wilderness than you expect. The Cairngorms trip can be done in a day, but if you find yourself with more time, continue north from Glen Coe to Loch Ness, or go west to the Isle of Skye. If the castles didn’t bring Scotland’s ancient past to life, the rugged rock formations and mystical fairy pools certainly will. If you’re looking to hit several major cities, while still having time to appreciate rural charms, Italy is the perfect road trip. Start in Rome and drive south to Sorrento along the Almafi Coast. 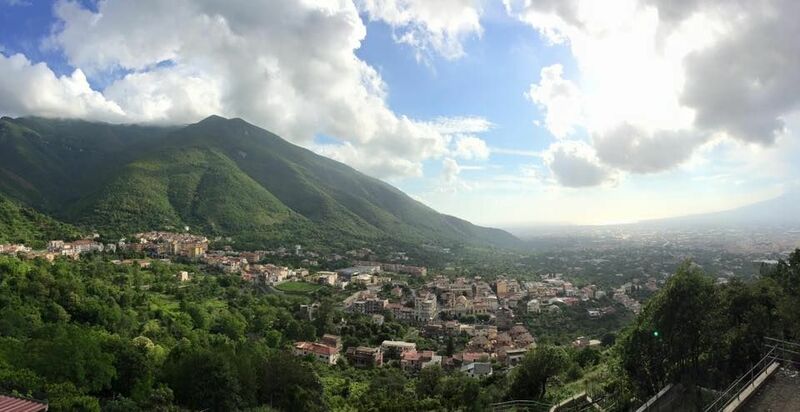 On the way, check out at the ruins of Pompeii, and appreciate the coastal views in what is truly one of the most visually stunning (and curving) drives you will ever experience. New towns crop up around every turn. They are carved into the cliffside, overhanging the sea. Ravello and Amalfi are good places to stop and marvel at the view. From Sorrento head back north to Florence and Tuscany, but make sure you stop in Tivoli, a small town east of Rome, home to an old villa famous for its gardens and fountains. If, for some reason, you get tired of Tuscany’s many walled hilltop towns, peaceful vistas, and how the whole countryside always seems to smell of jasmine, you can continue northeast to Venice. You’ll have to ditch the car before entering the city, but don’t worry—everything is walkable, and the whole no-traffic thing is a sweet contrast. If you have some extra time, head west to Cinque Terre, a collection of seaside villages, which you can trek between along a scenic coastal path. Taking you from highways and city limits to a mountainous countryside, the journey from Munich to Innsbruck is one of the more diverse road trips, and also the easiest. Start in Munich and travel south along the famous autobahn. For many, this is a destination in itself. On most stretches the highway has no speed limit, and it’s common for cars to coast at 110mph. The rise of snow-capped peaks marks your passage into Austria. Innsbruck is considered the “Capital of the Alps”, and to get there you will be cutting straight through the surrounding mountains. 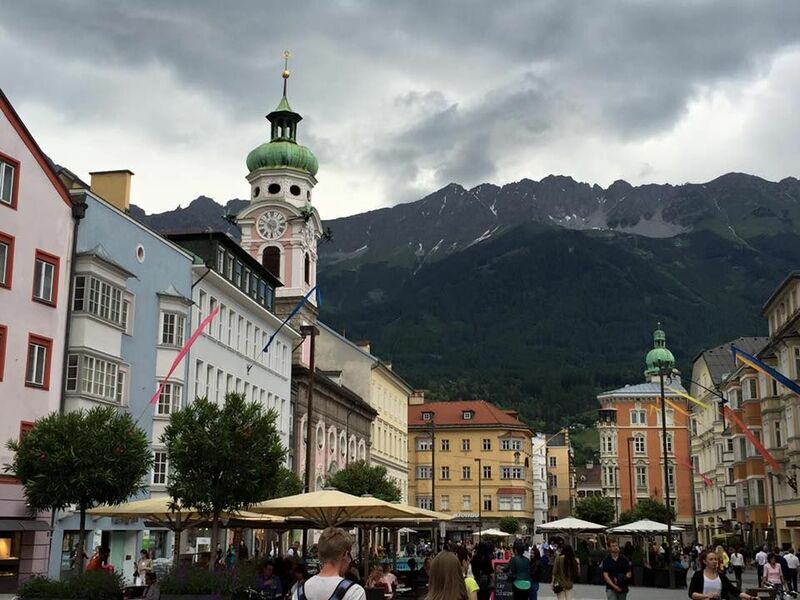 You might not expect to find a bustling university town in the middle of the Alps, still Innsbruck has a variety of restaurant and nightlife options, as well as parks, cobblestone streets, and an “old town” that blends seamlessly with the new. On the way back to Munich, try to see as many small villages in Tyrol as possible. Rattenberg is a well-preserved medieval town right off the main road. For a more unique, off-the-beaten-path experience, walk one of the bike baths toward the foot of the mountains, through the small village of Kramsach. Aside from a little church, some houses, and endless pastures of tall grass, there isn’t much to see here—but that’s what makes it worth experiencing. If you talk to the local Tyroleans, you’ll find that they have a special love for the mountains, and consider them living things, with voices and spirits. Learning Tyrolean folklore, and its role in the peoples’ identity, is one of the most interesting parts of visiting the region. While not technically on mainland Europe, Iceland has one of the simplest, and most breathtaking road trips. Assuming you’ve got at least a week, start in Reykjavik and simply follow the Ring Road—the lone highway that loops around the entire country. Attractions are clearly marked on the road, so the waterfalls and valleys are pretty hard to miss. 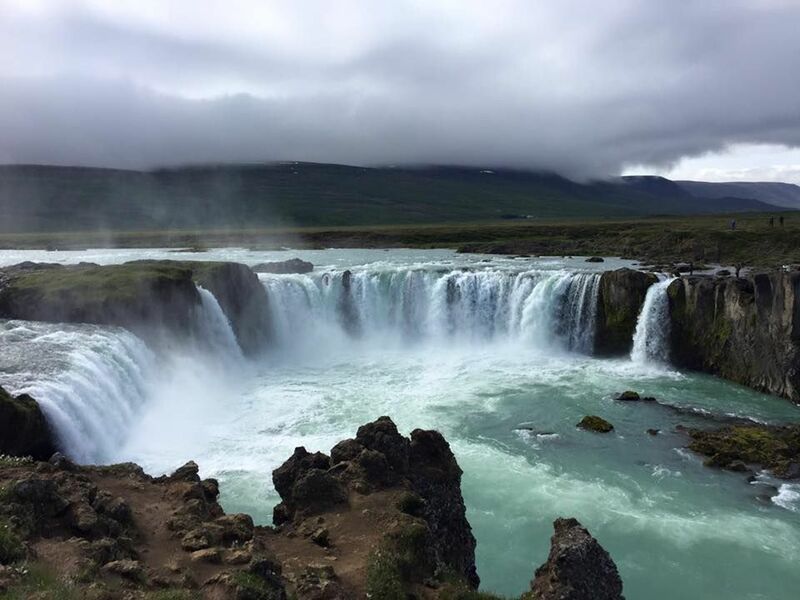 But don’t forget Goðafoss (Waterfall of the Gods) out east, or Selfoss, which requires a short diversion to the far north. Akureyri, Egilsstaðir, and Via are good stopping points if you’re traveling northwest to east. You’ll also want to stop at the Black Sand Beach near Vik. If you’re expecting to find hotels along the route, you might be out of luck. Your best bet is booking Airbnb’s or guesthouses, which will lead you to some cool cabins and horse farms, and greatly localize your experience. 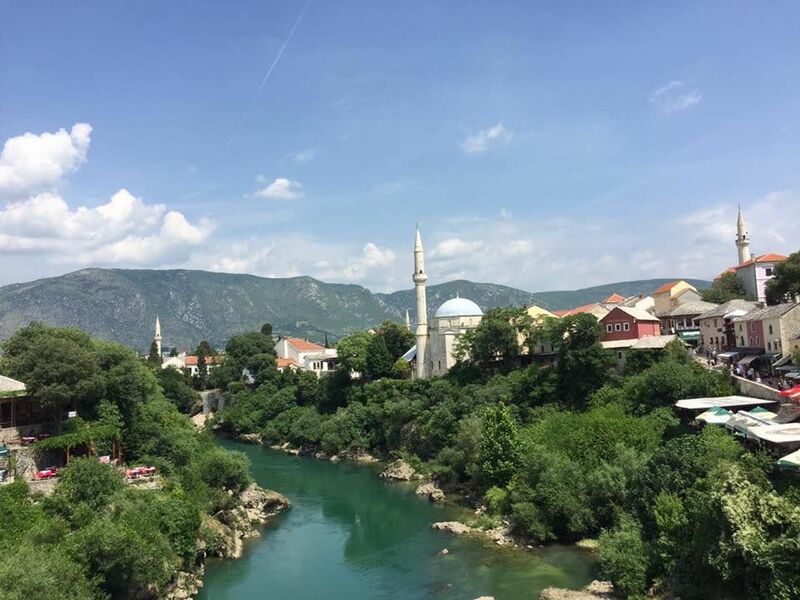 A road trip through the Balkans is ideal for those who want to see as many countries as possible, and aren’t daunted by ever-shifting languages and currency-exchange rates. While you can start pretty much anywhere, try kicking off in Sofia, Bulgaria. From there go west to Belgrade, the capital of the former Republic of Yugoslavia. Like many cities in the Balkans, Belgrade is still feeling the reverberations of the Yugoslav Wars in the 90s; but even if you haven’t fully grasped Serbia’s complicated history (it would take years to do so), head west again, toward Bosnia. Don’t worry about the “Danger: Land Mines” signs. Most of the mines are cleared out, and if you stick to the main roads, you should be safe. In Sarajevo, you can see where World War I began with the assassination of Archduke Franz Ferdinand. Just south of Sarajevo, Mostar is a smaller city with an impressive stone bridge, the Stari Most. Jumping from it is considered a rite of passage for Bosnians, and a riveting spectacle for visitors. On your way to Croatia stop off at Kravice Falls, a waterfall with many cascades that’s well worth the trek down. Skirting the edge of Croatia as you turn back east, you’ll be able to visit Dubrovnik (otherwise known as “King’s Landing” in Game of Thrones”). The whole Croatian coast is worth taking the drive slow, to admire the medieval stone buildings along the water. The coastal views continue into Montenegro, whose Bay of Kotor will have you stopping every five minutes to take pictures. Heading southeast through Albania, the views of the Adriatic disappear, replaced by flat green fields and abandoned-looking buildings. Less English is spoken in Albania than anywhere else, and most places don’t take credit cards—so prepare accordingly. The majority of Albanians are Muslim, so Montenegrin churches give way to minarets, and calls to prayer echoing five times per day. The culture shift makes Albania seem the most “foreign” to some travelers, which becomes even more interesting when you cross into Macedonia, and it shifts right back. Much like Croatia, Macedonia feels immediately Mediterranean. Visit the lakeside town of Ohrid, then venture north to Mavrovo National Park for some rural exploration. When you’re ready to make the long drive back to Sofia, make sure to check out Matka Canyon near Skopje. You could easily pass an afternoon wandering the trails here, and there are even kayaks for rent if you want to paddle your own way through the canyon. Once you’re back in Sofia, relax and remember to take advantage of the exchange rate. While Albania is easily the cheapest country, the value of food and nightlife in Sofia really can’t be beat. Get a steak dinner for $9, a cocktail for $3.50, and a nice AirBnb for $20. This is a great ending to a fascinating road trip.